We are having a little Anton craziness here on the blog. As you know we are giving away three (yes, three) LEGO Old Fishing Store boxes as part of our creative contest (cc). And all of you can participate in this fun photo challenge. You can make your own Anton. You can pick up Anton in the LEGO store. This set is so awesome and packed with toy photographers little objects you will reuse time after time, that ending up with an extra set through this contest is worth it. Or, you can get a real Anton from us. Yes, we got our hands on a full box of Anton’s ready to be shipped around the globe and discover your place in this photo adventure. Special thanks to the great folks at LEGO. We already selected the first five locations where Anton is traveling to. Congratulations, Ann, Bennett, Joseph, David, and Lizzi. You were the first to offer Anton a trip around your place. And all the SiP Goes Scotland folks will get their own Anton to explore the highlands in less as two weeks. BTW, you can still join our Scotland trip if you want. We still have 10 Antons waiting to see the world through your eyes. But these last come with a challenge. You will need to tell us in the comments below “why” Anton should come your way. And do include in the URL field of the comment or in the post a link to some of your photographic work. Anton likes to be seen from his best side when traveling to new places. When I got my hands on Anton, I could not resist in making it mine. I will be traveling with Anton to a few special locations during September, so I needed to get his inner monologue right. Who is this Anton? For me, as a toy photographer. A creative director looking through my viewfinder. Telling my stories. What does he mean in my pictures? Is he chasing the cat away, as the box art may suggest or is Rebeca (the cat) actually his best friend? What about all these amazing lobsters in the set. They also must be part of the adventure, so I gave the main lobster a name. A special name. A lobster with attitude. A wink to one of our Scotland travelers who will unfortunately not be able to make it. So at least she is in plastic with us. And if you ever traveled the Stockholm Archipelago you know our Seagulls are special. And so is Ralph. This is my little character storyboard on how I will be using Anton this month and beyond, including some signature features I will be special attention to. Like, Anton wears his hat halfway turned back. And he likes Johny, the bottle. So, that is my Anton. Tell us why you want Anton. Tell us what he will mean to you. Give us a glimpse into your Anton and which places you will show him. And we sent him your way. Hi Kostja, Anton here is jumping up and down to visit the far away lands of Karelia. He heard the lake of Onega is full of fish and would love to explore it together with you. He does not speak Karelian though, but he is sure that will not be a problem. Do you have some pictures you have taken before, like IG, Flickr, … you could share with us and Anton? But I have a question: If I get Anton, can I continue to participate in the contest for the old fishing store? You continue to take part in the full contest. I am gutted not to be able to get to Scotland. Would love to have anton visit me in the countryside to show him that life is not all fishing and the sea, though there may be fishing of some sort tonne had. Would love for him to meet some of my favourite minifigs and go exploring. Hi, I live in Istanbul and I would love to show Anton our amazing city. If he is interested in history I can show him some amazing landmarks like Agia Sofia. If he doesn’t like history we can go fishing with him in the Bosphorus. Istanbul is literally the best place for fishing. The city has shores to 2 different seas , the Marmara Sea and the Black Sea and of course the Bosphorus which separates Europe from Asia. So please come and visit our beautiful city Mr Anton. Hello I forgot to include a link to my comment. This picture is from my trip to Victoria Falls. He is not Anton but he is one of my favourite figures. Wow! Thank You Boris! Thank You Anton! I’m going to check an e-mail and starting to make a schedule for Anton! Thanks! Richard, Anton is wondering if you have some pictures to share with him. Maybe some images from your LEGO town ? If you can give a link to any of your social feeds that would be great (we should have included it in the original post, updated now). Feels a little bit like home for Anton, and he for sure would like to taste some local “maatjesharing”. I would love an Anton! I live in the mountains of Utah and I know Anton would love to fish in one of our beautiful mountain lakes. OMG! Thank you sooooo much! I can’t wait to take Anton all over the place to my different ponds and streams! So what do I need to do so you can send him to me? Hi Jana, Anton would love to travel the seven seas and see three countries with you. He will be bringing his cat along, so he hopes they will become good friends and have some fun. Email on its way. Can’t wait! I’ll tell Cole from Ninjago with his secret identity as a fisher to expect him and welcome him :) Thanks so much! Hi, thank you so much for sending me an Anton! What do I need to do to get him? How should I send you my address? Anton would love to visit Devon in the U.K. We have beaches, fishing ports, rolling hills, cathedrals, old buildings, and plenty of wildlife. I’m sure there is no end to places he could visit and explor on his adventure. He might even bump into fellow fishermen that he has met along the way on previous adventures. It might even feel like he’s come home? 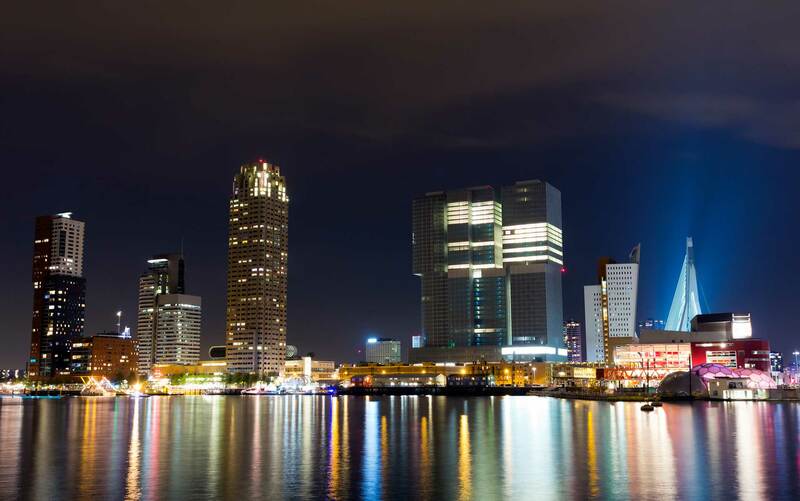 If you were not already convinced, I think this view of the Veerhaven in Rotterdam will do the trick. Here is a link to my original Instagram account as well that shows some of my mobile photography and more of the nature and macro photography I do and it has a few more followers than my new Toy Photography account. I don’t mind featuring Anton there once in awhile as well if he needs a bigger audience. Hi Nicole, Anton can’t wait to meet Stitch and explore Vancouver. Keep an eye on your inbox for a mail from us to get the shipping details. That’s A-mazing! Thank you so much! I’m so excited to show Anton around and introduce him to Stitch! We’re going to have a great time! Looking forward to meeting Anton in person! I have sent my shipping info to you already. Thank you again! Hi Anton I have one more idea that you might like. After we finished fishing in the Bosphorus, we can have some delicous sea food. My favourite sea food dish is called shrimp with butter. 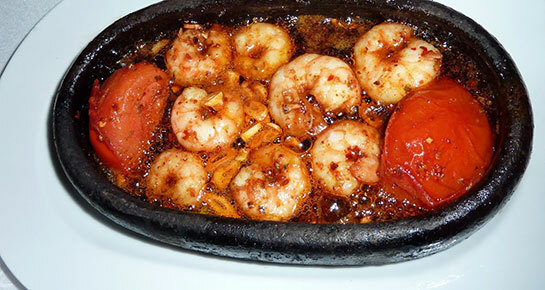 It is a specially prepared shrimp with butter and spices. Here is a picture of it. I hope to see you soon Anton. Hoping to see you around! Woohaaa! Anton could just not make up his mind, and decided he wants to visit you all as long as you promise to take him places and share all the fun on your accounts. That said, the entries are closed and we work out the details with all you great folks who offered Anton a place to stay before this post. Keep an eye on your mailbox to get the shipping ports sorted. Looking forward to the mail! Hi, did I miss out on the competition? I wrote an entry to invite Anton to explore the fishing spots around Sydney harbour and Manly Wharf near the ferry. But I can’t see my comment. I included the link to my Instagram @the_adventures_of_little_amy I would love to take Anton around all of the beautiful fishing spots in Sydney and show the locals his old fishing store. Hoping my entry wasn’t too late. Hi Amy, no, not at all. The Win Your Own LEGO Old Fishing Store runs until September 24th, so you have still time to add more images to the story. This thread was not really a competition, but more an ask for toy photographers around the world if they were interested in getting Anton for a visit. We “only” had a limited set of Antons to ship away, and they all have left port. So generous of you! Anton is going to have some amazing adventures around the world! Looking forward to taking him out and following all of his Dopplegangers adventures as well! Yesterday they’ve gone fishing in European side of the city. Awesome images, Ulas. Looking forward to more epic adventures from Istanbul. Previous PostPrevious She has arrived.